Mortgage hedging provides some of the more interesting and complicated questions and scenarios within the industry. There are obvious benefits to doing so – hedging your pipeline properly mitigates risk and allows for trading hedge products that make you more money – but knowing when you should start isn’t always easy. We’ve previously talked about mortgage hedging under the context of knowing when you should be hedging, however having the tools to do so isn’t the same question. 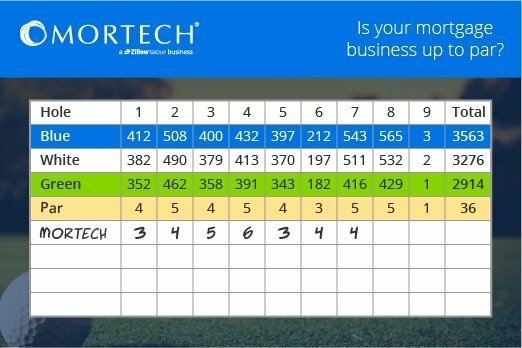 Thankfully, though, Mortech has the answers there as well. One of the more difficult aspects of mortgage hedging is actually knowing if the trades you and your lenders are making is beneficial. If you’re just making trades left and right without properly monitoring them, the chances that your increasing your profits isn’t very good. However, Mortech’s integration with industry leading hedging platforms changes that. 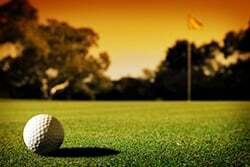 Our integrations act as a “caddy” for lenders, helping them manage hedging, trading, and pipeline risk all in one place. By being integrated with Mortech’s mortgage pricing engine, lenders can seamlessly transfer loan scenario data from there directly into their hedging platform’s interface, keeping their pipeline organized and allowing them to optimally hedge their loans. Another hurdle to get past with hedging is being able to manage all of your options and find the most optimal choice. Mortech has an answer for that as well. The whole loan trading platforms we’re integrated with allow lenders to manage bids and review Mortech pricing models in real time, so that they can review all of their options and make the best business decision. This new, streamlined process makes managing and trading loans easier and more transparent, and provides you with one, simple interface to access all of the relevant data you need. After all, knowing when you should start hedging can be difficult enough. Once you decide to start, you shouldn’t have to spend all of your time finding the right tools and resources to do so; Mortech can provide everything you need. 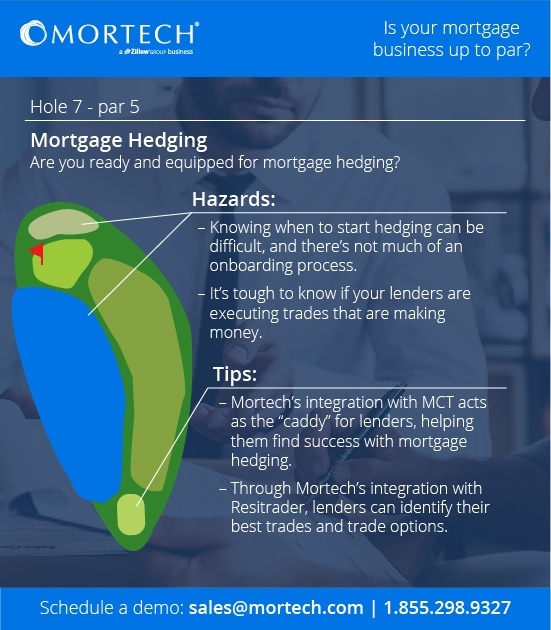 To find out more about mortgage hedging with Mortech, and how you can start, reach out to us today. Or, if you’re going to MBA Annual in Denver next week, schedule to meet with us at the show, or stop by booth 1103!